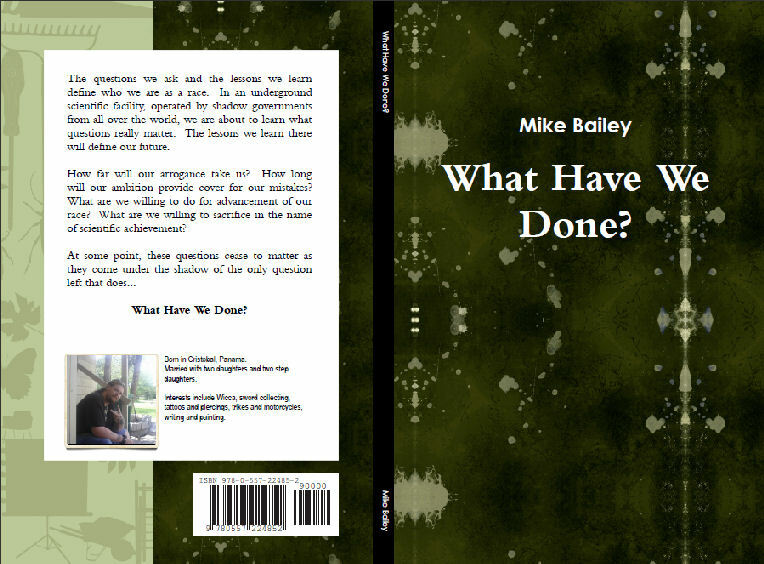 I would like to introduce you to Mike Bailey, Author of What Have We Done?-The Dragon Chronicles. I met Mike recently and was intrigued by his drive for his novel. Once finished with a novel, writers are then faced with the scary question “Now What?” We are blessed now with much more opportunities then we have had in the past. Self publishing is a real option for many. Especially those who have written content that may not fall into the realm of “mainstream”. Mike was determined to get his book out there; for that I commend and support him. Take a moment to read up on his journey. 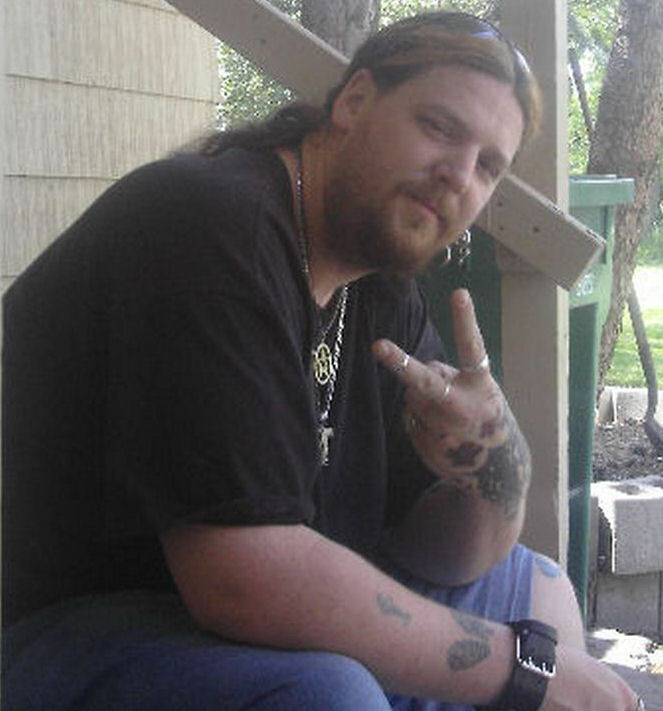 He has a lot to teach those who are looking into Self Publishing. This was quite an original concept for a novel. Where did you get your inspiration, and how easily did the work flow once you knew your plotline? Well thank you for the compliment Jessica. I believe my inspiration came from my intense love of science fiction, fantasy, space opera and horror. I especially love both zombie and post apocalyptic movies and books. Some of my favorites are Resident Evil, Jurassic Park, Reign of Fire and Cherry 2000. I was actually working as a night time security guard at the time with 45 minutes of free time every hour. One night I wrote down every thought, concept and idea that I had for the book. The next night I organized it all into a list in order of what would happen in the story. On the third night I went through each bullet point and added any sub-notes I could think of for each. I actually began to write the novel on the fourth night and finished the first draft in less than a month. After that I went through the whole manuscript and rewrote it, clarify certain passages and improve story flow. As I was writing I was continually adding thoughts and ideas to the list of notes I already had. Each time a thought popped into my head I would read through the notes and jot it in where it seemed to make the most sense. This sometimes required me to rearrange the order of events. Often this meant adding to or completely re-writing portions of what I had already written. All in all the whole process lasted less than three months and seemed to just flow out of me like I was pouring water from a pitcher. It amazed me at the time and it still amazes me how easily the whole thing went from thoughts to a story on paper. I sure wish the second book flowed as easily as the first one did. As a writer many times a storyline will shift, and emphasis will change as you get deeper into your process. Did you experience much of that with this novel or were you pretty focused from inception to publication? I did experience some, yes. As I said above, I was continually adding to my notes as I went. This often resulted in the story taking a somewhat different direction or a character developing somewhat differently than I had originally intended. For example, the original concept was to have a government cover-up and secret government “black ops” type group working to keep the survivors from going public. However, as I got into the story things just seemed to flow towards a more “total annihilation” kind of theme. I also didn’t originally intend for Misha to fall in love with SyAnne. In fact, originally there was no love interest after the Professor. From there it evolved to SyAnne being the quiet, shy, introvert with a secret crush on Misha but that quickly developed into the both of them falling in love with each other. What made you decide to self-publish? Can you briefly describe the process and the pros and cons? My decision to self publish was made almost entirely on my own personal lack of patience. I spent several months trying to find an agent, crafting introduction and proposal letters specifically for each one. Once I did finally get an agent I was ecstatic. Then came a year and half of waiting for her to find an interested publisher. There were a few interested publishers but they all wanted me to spend thousands of dollars up front to share the cost of publishing. This may well be the normal way of things with traditional publishing but it wasn’t for me. So, after waiting so long with no results I started researching self publishing avenues. My final decision was Lulu.com. Once you have the manuscript finished and fully edited and formatted properly (their site tells you how to do every step) you upload it to their website and its converted into a PDF, print ready, format. Then from there you place an order for one preview copy. You pay only the cost of printing the book which for me was a whopping seven dollars and change. When you have received the first copy and verified that it is the way you want it to be you go back on the site and approve it. At that point their site sets up a “storefront” web page for you and your book is for sale. It takes several weeks but they even get your book listed on Amazon and in the book database that all the major book sellers have access to. Lulu.com has many different kinds of books, layouts, binding options and even an online cover designer. The pros to self publishing are that your book is in print and ready for marketing and advertising without a lot of red tape. The process is simple and fairly quick. Lulu.com had answers for every question, most of which were already posted in their FAQs and the whole process only took about 5 weeks or so. There is only one con that I’ve seen yet. You basically do ALL the marketing and promoting yourself. I’ve done some research and found that in a lot of cases this is becoming true of traditional publishers too, although I couldn’t say to what extent. I have found Twitter, Facebook and LinkedIn to be invaluable for promotions. After all, that is how I met you Jessica. There is a huge amount of information on using social media for promotions and a ton of applications and websites that help you track all the important statistics of your activities on these social media sites. My apologies for being so long winded there. I know you specifically said to be brief, but it is so difficult when discussing something I am passionate about. Did you discover anything about yourself as a writer while completing this book? I learned many things about myself, both as a writer and not as a writer, during the process. One is that I am a perfectionist when it comes to telling a story. Another is that patience is NOT my best strength. I definitely learned that editing, re-editing, proofreading and re-proofreading is an absolute must. No matter what your agent, editor or anyone else tells you. I also learned that my passion for writing goes much deeper than I had thought. Once I began the process I simply could not stop until it was finished. It was the first major project I had ever undertaken. I have written many short stories, some poetry, etc. but this was my first full length, fictional novel. Since writing this book I find myself constantly jotting down thoughts and ideas for other stories. I can honestly say that I had NO idea what I was in for. I didn’t have a clue what the whole writing process would entail or what the publishing and promoting processes would be like. It was, and still is a real eye opener, but I consider every step of the process to be a learning experience and an opportunity to improve for the next book in the trilogy, which I am currently working on. Your character Bailey Michaels is angry to say the least. You can see how he got that way due to his childhood. Did those emotions or any characters come from real life inspiration? Actually Jessica, you hit the nail on the head right there, so to speak. Most people don’t catch it but Bailey Michaels is actually based on myself (Mike Bailey … Bailey Michaels). The anger and bitterness I tried to convey with his character was both a reflection on my past self and an outlet for me personally. Don’t get me wrong, I’m not typically an angry or bitter person, however, growing up I struggled with both. I was well into my adult years before I finally overcame that part of myself and took ownership of the path my life had been on. Bailey Michaels represents that part of my life. Also, the character is based on what I wanted to grow up to be when I was a child, a private detective. I also wanted to be a vampire but obviously I didn’t go into either of those occupations as an adult. The canine character in the story, Cujo, was based on my own pet at the time. I can tell you, with absolute certainty, that Chihuahuas are ego maniacal little bullies. They have the most personality I have ever seen in a dog so I just had to put him in the story. Yes, I know I ripped off Stephen King for the dog’s name but I just couldn’t resist the irony of a Chihuahua named Cujo. Thank you Mike for sharing your journey. The best of luck to you and your book! 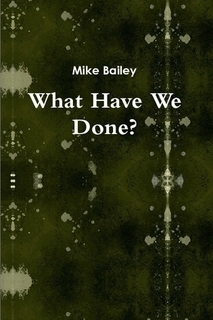 This entry was posted in Guests and tagged Author, Authors, Blog, ebook, Guest, Mike Bailey, publishing, self publishing, What Have We Done? The Dragon Chronicles, write, writing. Bookmark the permalink. 8) Thank you Jessica! This interview was such fun! Your questions were original and thought provoking and I had a great time answering them. I very much look forward to any comments or questions your readers may have. Awesome interview Jessica!!! Much enjoyed this! ~Amazing how you began your entire story-line! So cool! Hopefully soon a chance to read!!!! & Wishing Loads of Luck!!! Well hi there April… So glad ya came by! The whole experience, being my first full novel, was indescribable. I guess fun is a bit of an understatement. All in all, from start to ‘finish’, it was really rewarding and fulfilling. The first few nights of organizing the notes and ideas it just seemed I couldn’t get them down on paper as fast as they were running through my head. The more ideas I wrote down the more I had to reorganize the layout and the more excited I became with the whole process. Kudos to both you, Jessica for your discerning questions and to Mike for his in-depth and illuminating answers. I wish you both much success with your respective books, and of course, keep writing! Thanks for swinging in and taking a peek at the interview Jeff. It was a lot of fun and Jessica is definitely gifted at crafting thought provoking questions!